It’s summer camp infused with a lot of high-level pure and applied mathematics. Research is valuable. Research is how we make new discoveries. For the last three years, Missouri State University was awarded funding from the National Science Foundation (NSF) to work with undergraduate research in mathematics. 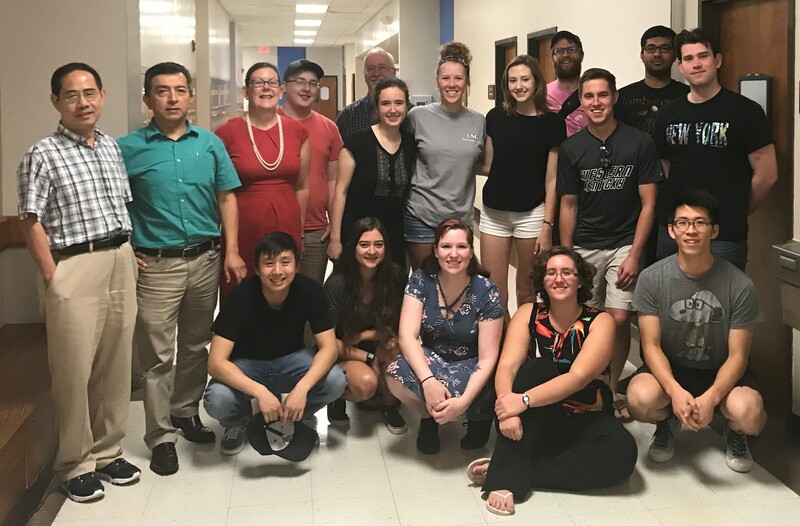 Research Experiences for Undergraduates (REU) lets faculty mentors bring in 12 students from around the United States to mentor and work on research for eight weeks during the summer. These students are among the best math majors in the country. MSU was one of 55 sites for a mathematics REU. This grant is one of the most prestigious awards in undergraduate mathematics in the country. Drs. Jorge Rebaza, Les Reid, Steven Senger and Xingping Sun each worked with three students. This $293,661 grant gives students the freedom to work on problems with one-on-one attention from our professors. Several participants published the research they worked on in an REU. Learn more about this year’s research projects.